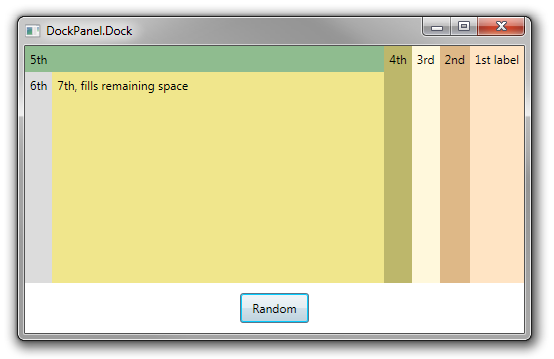 The attached property DockPanel.Dock dictates which side of the remaining space in a DockPanel a child control will dock to. 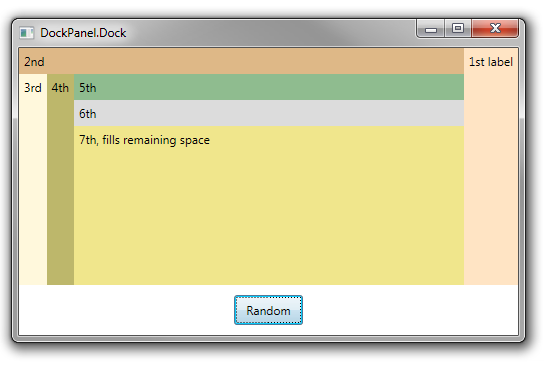 You typically set DockPanel.Dock in XAML at design time, for each child of the DockPanel. 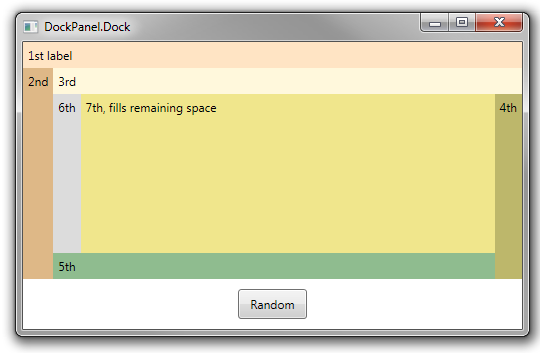 You can also change any DockPanel.Dock value at runtime. 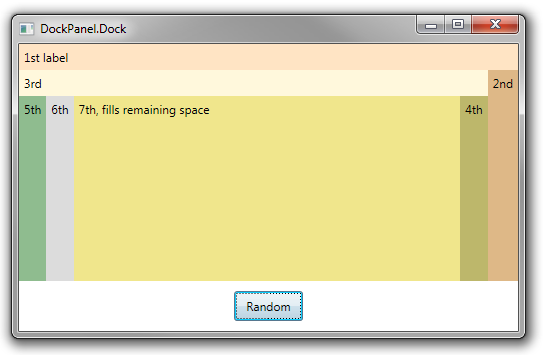 In the example below, clicking on the button selects new random values for Dock.